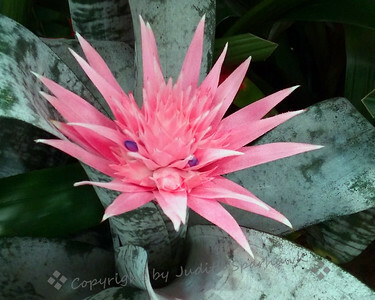 I believe this is a type of Bromeliad. 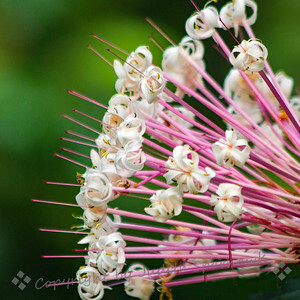 It has a beautiful spray of pink and purple "flowers". Thanks to Godschild who researched this plant--it is called Blue Tango--isn't that a great name? 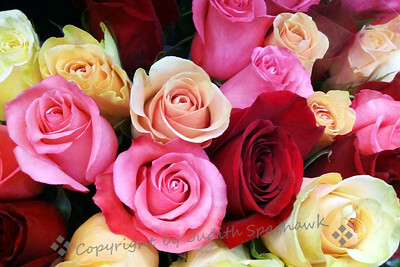 This bunch of roses was at Costco's floral display. More Costco flowers on display today. 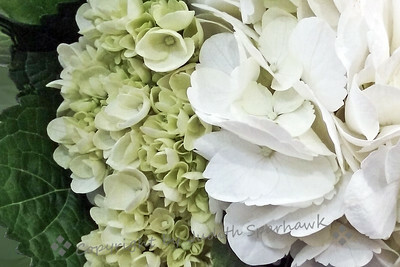 Bouquet of open and about-to-open Hydrangea flowers, all in white. 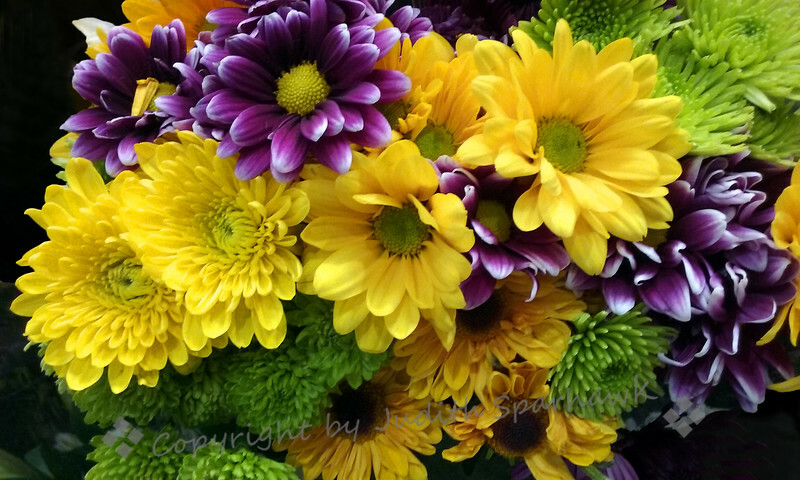 A mixed bouquet at Costco today--my cell phone came in handy. 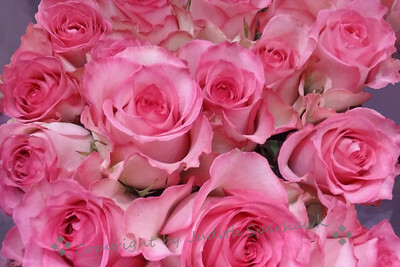 The beautiful pink tipped roses were a bunch in Costco--they looked delicate and sweet. 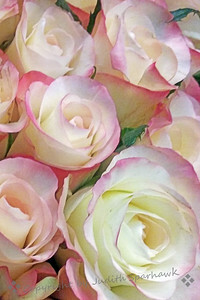 These flowers were photographed at Costco. They are some kind of tropical flower, I believe, but I don't know the name. This view really didn't do them justice. 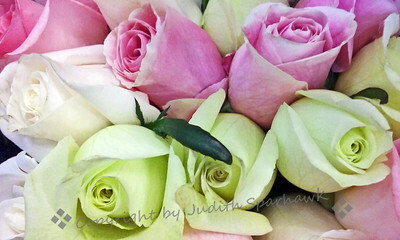 I must admit, shooting flowers at Costco is fun, but not amenable to creative views! 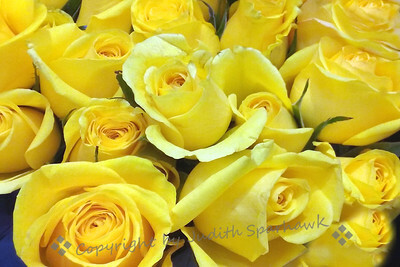 Another photo of the roses in the Costco floral display. 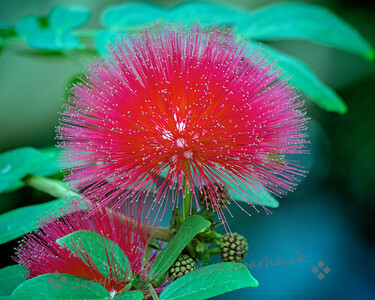 This beautiful red puffball was one of many on a tree at San Diego Safari Park. This unusual spray of flowers was one of hundreds on a tree at San Diego Safari Park. I have no idea what it is, but I liked it. 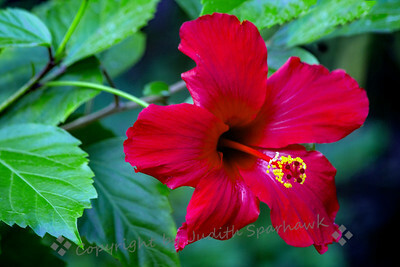 This was the only flower on a hibiscus bush I saw at San Diego Safari Park today. Couldn't pass it up. 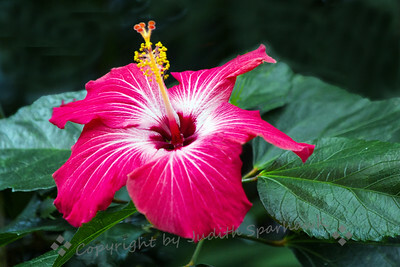 This pretty hibiscus was photographed at San Diego Safari Park. I'd never seen one quite like it, and I really liked it. 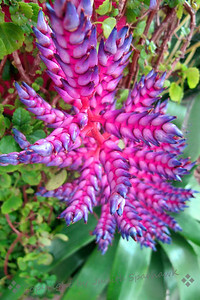 When shopping in Costco, I noticed a big display of these bromeliad-type plants. It was hard to get good views of them with my cell phone, but a few came out well. I liked the bright colors of these red and gold ones. 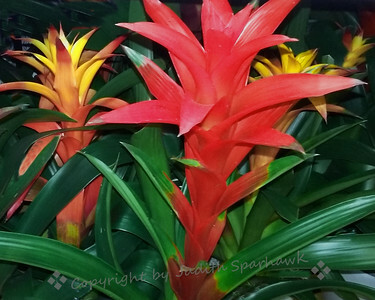 This beautiful bromeliad was in the display at Costco yesterday. 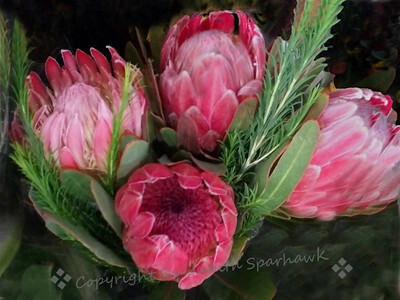 I loved the spiky pink petals and the sage green foliage. 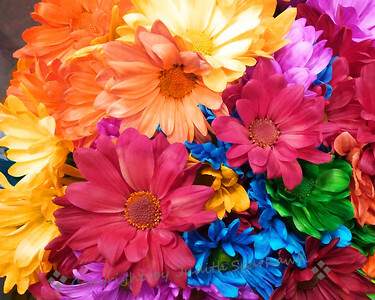 **Thanks to Godschild for the name of these flowers! 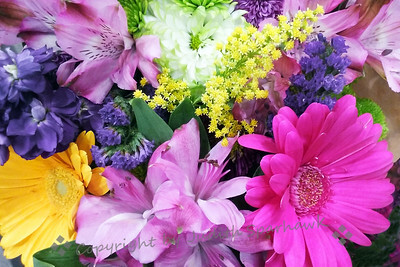 ** This bouquet of tropical flowers was in the floral display at Costco. I don't know the name of this plant (probably fotoeffects or arctangent will) but I've always liked them, so finally got a chance to shoot them. 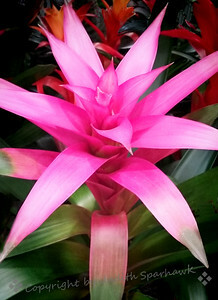 This bright pink bromeliad plant was at Costco, and I used my cell phone to capture it. 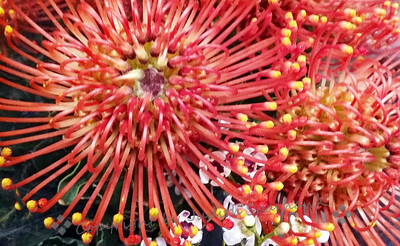 I was wandering in Costco today and noticed all the beautiful flowers, so got a few cell phone shots. This was one of them. 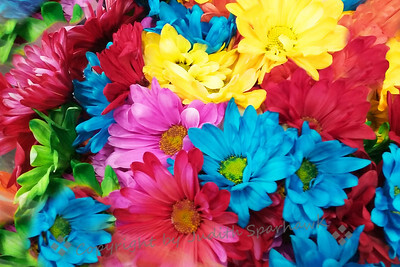 I was wandering in Costco today, and noticed all the beautiful flowers. I took a few cell phone shots. This was one of them. Another colorful flower shot for the floral display at Costco today. 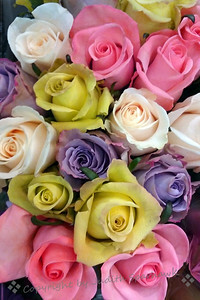 These beautiful pastel roses were in a bouquet for sales at Costco today. Another bunch of roses at Costco today. 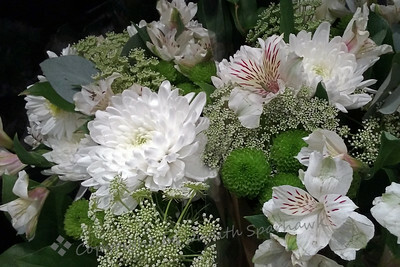 The delicacy of this white themed bouquet really appealed to me. It was in the floral display at Costco today.